Government-financed drilling rig at Pine River, 1942. RBCM. The Peace River region's potential as an oil and gas area was recognized early in the 1900s but in 1919 the British Columbia government placed a moratorium on exploration. However, the government decided to cash in on the demand for oil and began a drilling program in the 1940s. This exploratory drilling was unsuccessful, and the moratorium was lifted in 1946. Businesses flocked into the region seeking oil and gas. 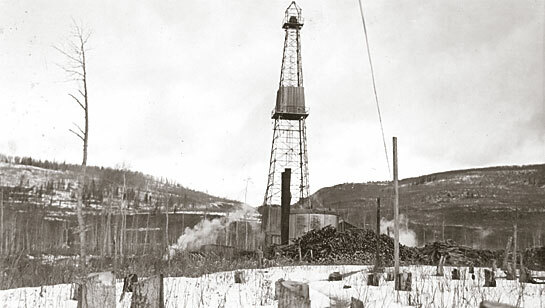 Natural gas wells were found almost immediately but it was not until 1951 that an oil well was drilled near Fort St. John. 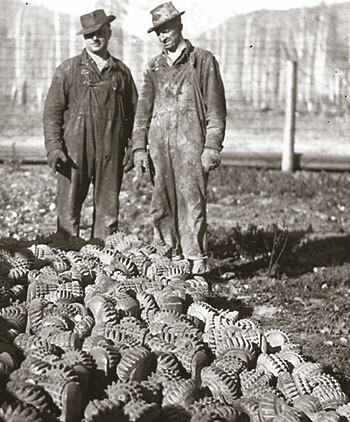 Used drill bits, Pine River, 1942. RBCM. 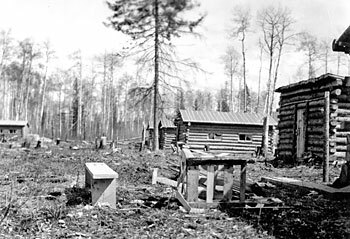 Camp at Pine River, 1942. RBCM. 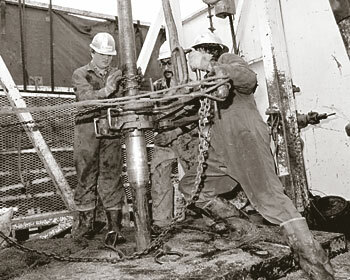 Drilling for natural gas near Fort St. John, 1985. BC Archives I-22200. Rotary drill bit. 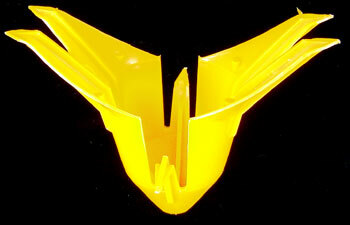 RBCM 2003.43.2. Oil and gas exploration can have serious environmental consequences. Seismic exploration has cut huge swaths through the forest and left many drill holes. 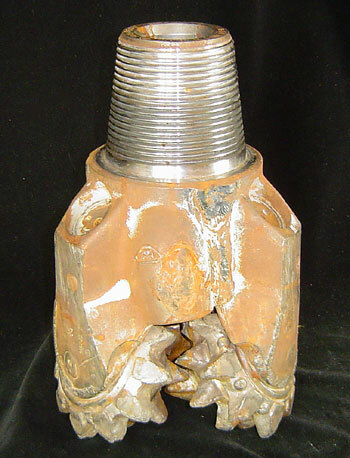 Seismic hole plug. RBCM 988.27.3.